In a previous post, I referred to the “Big Three” motivators of current hearing aid sales promotion, the fears of: 1) deterioration in cognition, 2) increased dementia, and 3) increased Alzheimer’s disease. What is being promoted heavily is that these three mental deterioration fears can be slowed, reduced or improved with hearing aid use. Have these Big Three hearing aid fears become the new hearing aid sales approach? Has Promoting “Fear” Become the New Hearing Aid Sales Approach? “The single most common concern I hear from my patients each day is: ‘I’m worried about the effects of aging, and dementia’.” (Promoting hearing aid use). “At last, someone has unlocked the secret to improved brain function.” (Promoting hearing aid use). “How long are you willing to let increased Dementia risk go untreated?” (Promoting hearing aid use). “At last, a proven method for improving brain function; including working memory, selective attention and processing speed.” (Promoting hearing aid use). “Technology designed by top neuroscientists and audio engineers to restore hearing and provide your brain with the necessary stimulation to stay fit and increase mental acuity.” (Emphasis added, and promoting hearing aid use). “New research from Columbia University has found that the use of hearing technology can help maintain function and eliminate the increased risk of developing dementia.” (Emphasis added). “It’s never too late to act against hearing impairment. But the sooner you treat hearing impairment, the better for your cognition” says Hélène Amieva, Professor at the University of Bordeaux. 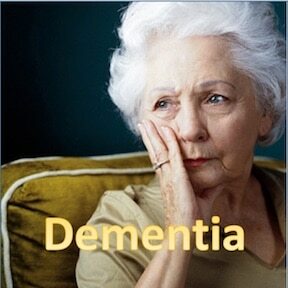 “What is the simplest way to reduce dementia risk? BrainHearing.” (Promoting hearing aid use). “3 simple ways to prevent or reverse dementia.” (Interestingly, I did not see hearing aids mentioned). I also find articles, and an excellent report by Dr. Daffner1,2, that collectively state that managing the following will affect/reduce/cure dementia, cognition issues, and Alzheimer’s: diet, medications, activities, obesity, genetics, hormones, metabolic syndrome, diabetes, cardiovascular disease and its risk factors, neurological disorders, head trauma, supplements, etc. I suspect, but don’t know, that treatment of these might provide the purported improvements with or without hearing loss being present. The previous statement seems to be supported somewhat by comments that hearing loss may indeed contribute to an overall cycle of multimorbidity or even interact with other known risk factors for dementia, all of which could lead to cognitive decline in older adults. However, the pathways associating hearing loss and cognition are not mutually exclusive. As a result, multiple pathways (as suggested and identified in the previous paragraph) could likely co-exist and contribute in a synergistic way and contribute to accelerated decline in those with hearing loss3. For example, Dr. Yonas Geda, study senior author and neurologist at the Mayo Clinic, conducted a study stating that simple mind-stimulating can stave off mental decline, and to find if they help prevent mild cognitive impairment. The study looked at five activities thought to help keep the mind sharp: computer use, making crafts, playing games including chess or bridge, going to movies or other types of socializing, and reading books. Subjects included 2000 adults, ages 70-93 without any memory problems. Subjects were asked if they had engaged in any of the listed activities during the previous year, and if so, how often. They were tested at the start and every 15 months for about 4 years. During that time, 456 subjects developed mild impairment. The study concluded that of those participating in one of the activities at least once per week, 20-30% were less likely to develop mild cognitive impairment over the 4 years than those who never engaged in those activities4. Caveat: Are these statistics comparable to those for hearing loss? Johns Hopkins reported that the decline in cognitive abilities was 30-40% faster in those with hearing impairment than in those whose hearing was normal3, not too far off the 20-30% decline reported above by the Mayo Clinic for elderly individuals engaging or not in mental activity projects. Note: This post is not intended to discount any of the multitude of reported remedies to retard, reverse, or improve cognitive function, but to step back and review those related to the use of hearing aids. A possible explanation for the cognitive decline for individuals having hearing loss, according to Dr. Lin of the Johns Hopkins Medical Center, “…include the ties between hearing loss and social isolation, with loneliness being well established in previous research as a risk factor for cognitive decline. Degraded hearing may also force the brain to devote too much of its energy to processing sound, and at the expense of energy spent on memory and thinking.” He adds there may also be some common, underlying damage that leads to both hearing and cognitive problems. That the brain is involved with hearing is not new information. Any early text on hearing, the brain stem, or the cerebral cortex (brain) explains the connection and activity between what is normally thought of as the ear, and hearing at the cortex. For many years, researchers have been finding subtle problems in the way our brain processes information as we age. There are many people who have good inner ears, but just don’t hear well as a result of an aging brain. As a result, the brain’s ability to provide proper feedback to the ear, by filtering unwanted and unnecessary information, declines beginning in our 40s and 50s, according to Dr. Robert Frisina of the Rochester Medical Center in 2005. The loss is detected most markedly in an inability to understand in the presence of background babble. Additionally, in work by he and his colleagues years earlier, they found that most people gradually lose the ability to hear high frequencies as they age, with feedback and timing problems (inability to detect slight gaps in speech that tend to “smear words together”) accounting for many of the complaints about hearing. Caveat: No suggested hearing aid use was proposed, or projected for improving this feedback filtering. Neuroplasticity – In some hearing loss cases, that portion of the brain normally devoted to hearing can become reorganized – reassigned to other functions, such as vision or touch, and may play a role in cognitive decline6. Such neuroplasticity (ability of the brain to forge new connections), as measured using EEG (electroencephalographic) brain wave recordings may determine how the brain adapts to hearing loss, as well as to the consequences of those changes. MRI (Magnetic Resonance Imaging) tracking brain changes for up to 10 years of individuals with hearing loss, showed that participants lost more than an additional cubic centimeter of brain tissue each year compared with those with normal hearing. Caveat: The neuroplasticity study did not, however, look at how hearing aids would help reverse the cognitive decline, other than to suggest that early hearing aid use could help to protect reorganization of the brain. However, the MRI study did suggest that if hearing loss is a contributor, that it should be addressed sooner than later. Daffner, KR (2017). Improving memory: understanding age-related memory loss. The Patient Education Center of Harvard Medical School of Harvard University, and published by Health Media Network. Andrade, C and Radhakrishnan, R. (2009). The prevention and treatment of cognitive decline and dementia: an overview of recent research on experimental treatments. Indian J Psychiatry, Jan-Mar; 51(1): 12-25. Lin FR, Yaffe K, Xia J, Li Xue Q, Harris TB, Purchase-Helzner E, Satterfield S, Ayonayon HN, Ferrucci L, and Simonsick EM. (2013). Hearing loss and cognitive decline among older adults. JAMA Intern Med. Feb 25; 173(4):293-299. Geda, YE., Corresponding author. (2017). Association between mentally stimulating activities in late life and the outcome of incident mild cognitive impairment, with an analysis of the APOE e4 genotype. JAMA Neurol, Published online January 30, 2017. Anderson S, White-Schwoch T, Parbery-Clark A, and Kraus N. (2013). Reversal of age-related neural timing delays with training. Proc Natl Acad Sci USA 2013;110(11):4357-4362. Sharma A. (2015). How does the brain respond to hearing loss? Acoustical Society of America presentation, May 19, 2015. Previous Post Hearing Aid Motivator – Fear? I never leave home without my hearing aids because without them I only hear the vowel sounds. Once they are in each ear and turned on the whole world of sound becomes a reality. The most important programs for me are directional microphones allowing the background noise to be lowered, manual volume control and telecoils.